Hope Africa University (HAU) is an educational institution of higher learning established by the Free Methodist Church. The Free Methodist Church’s idea to establish a university dates back in the early 1980’s, but it was on April 1st 1999 that a decision to establish the university was made in Nairobi, Kenya. Consequently, Hope Africa University was opened on February 6, 2000 in Karen/Nairobi in the Republic of Kenya. It started with a small number of students from Burundi, Rwanda, DRC (Congo) and Kenya. 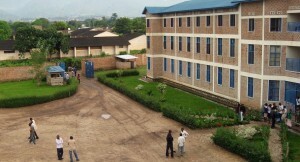 The University relocated to Bujumbura in the Republic of Burundi in December 2003. On February 2, 2004, Hope Africa University was officially opened by the Director General of Higher Education on behalf of the Minister of Education of Burundi. On that opening day, the university had 110 students, 47 of whom had come with the institution from Nairobi. 1980s – The concept of a regional African university to train leaders who could influence the societies of their home countries and become leaders in their local churches is born as leaders of Free Methodist Churches of Zaire (Democratic Republic of Congo), Rwanda and Burundi project the educational and leadership needs of Central and East Africa. 1998 – The Area Fellowship comprised of leaders of the Free Methodist Churches of the Central and East Africa nations mandates a feasibility study for the formation of a regional university. 1999 – The Area Fellowship reviews the feasibility study and unanimously approves establishing Hope Africa University. Dr. Elie Buconyori is appointed “Project Director” to lead this endeavor under the guidance of an interim Governing Council. 2000 – February 7 the school opens with 12 students in a converted roadhouse adjacent to the Karen Free Methodist Church in Nairobi, Kenya. The second semester began in July with 27 students from four countries. In September in Chicago, Illinois, the US Board of Advisors forms to represent HAU’s interest in the US, mobilize resources for HAU and promote HAU throughout North America. A set of bylaws is approved and fifteen persons are elected to the board with Dr. Gerald Bates elected to be president. 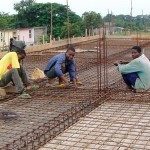 2003 – HAU Governing Council decides to move the university to Bujumbura, the capital city of Burundi. Forty-nine students move from Kenya to Burundi with the university. The Burundi government gives permission to open classes in September. 2004 – In July the Burundi Minister of Education gives full accreditation of all programs. Thirty-seven students receive diplomas as the first graduating class of Hope Africa University. 197 students begin the second year of study on the new campus. 2006 – Enrolment tops 700. The President of Burundi, His Excellency Pierre Nkurunziza lays the cornerstone for the new education/administration building. The Vivian A. Dake Memorial Library is dedicated. 2007 – Enrollment increases to 1,400. The Student Center and Dormitory are completed. Friends of HAU receives approval as a 501(c)(3) charity from the United States Internal Revenue Service. Dr. Wayne McCown, board member of Friends of HAU, is appointed director of a program to recruit and register visiting faculty and medical staff and to coordinate their placement with HAU. 2008 – Voice of Hope Radio is launched providing Christian and educational radio to about 80% of the country of Burundi with reach into eastern Congo, Rwanda and Tanzania. 2009 – Enrolment exceeds 2,600 and the Dake Memorial Library lists over 30,000 volumes for use by students and faculty. Over 100 students graduate with eleven receiving BSN degrees, the first class of this new program. 2010 – In support of the nursing and medicine programs Kibuye Hospital is deeded to the university and becomes Kibuye Hope Hospital, designated as a regional medical center by the national government. Construction begins on a clinic adjacent to the city campus to serve the community and provide opportunity for nursing and medicine students to get clinical experience. Indiana Senator Richard Lugar visits HAU and becomes a friend of the school. 2011 – Graduate programs in Theology, Education, Nursing, Law and medicine are added and enrollment exceeds 4,000. The 45,000 square feet education/administration and 277 students are graduated. Participation in the Friends of HAU program to recruit and send visiting faculty and medical support from the US grows to over 40 with periods of service from a few weeks to several months. 2012 – The Van Norman Clinic is dedicated and Drs. Joel and Janette Miller arrive as career missionaries to oversee clinical experiences for medical and nursing students and to teach at HAU. Want to learn about today? Read our recent news!